Riders need to be able to rely on their gear – no matter what the elements throw their way. GORE BIKE WEAR meets all demands placed on high performance cycling clothing.The company combines state-of-the-art tech with eye-catching design to create their popular, high-quality cycling apparel. So, hobby riders and high-performance athletes alike know they can 100% rely on GORE BIKE WEAR to look good and perform even better. GORE BIKE WEAR® manufactures popular, high-quality cycling apparel that looks fantastic and performs even better. No matter what elements are thrown your way, with GORE BIKE WEAR® you can be sure that you are prepared for all conditions. GORE BIKE WEAR® is a world leader in clothing and accessories that are designed to meet every demand, combining state-of-the-art technology and highly durable materials, with attractive, eye-catching designs for both men and women. Gore is one of the world’s best-known brands. Established in 1958 by Wilbert L. (“Bill”) and Genevieve (“Vieve”) Gore, W.L Gore innovated PTFE (more commonly known as Teflon), an extremely versatile material that was integral to the manufacturing of elements such as insulated wire and cable. It became a worldwide success, with its technologies used across the globe and beyond – even going as far as the moon. In 1969, Bill’s son, Bob, made the breakthrough discovery of ePTFE, or “expanded polytetrafluoroethylene” when he rapidly stretched PTFE. The result was an incredibly durable, porous, breathable, yet water resistant material, which later would be known as Gore-TEX® fabric. While Gore-TEX has been used in a number of ways including insulation for wires and cables, gaskets and medical implants, it is probably best known for its use in protective yet breathable fabric. In 1976, Gore sold its first Gore-TEX® fabric, which was turned into windproof, waterproof and durable rain wear jackets. 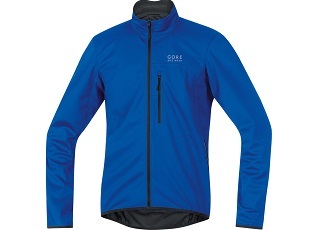 These GORE BIKE WEAR® jackets became top-selling items and synonymous with the Gore brand, enjoyed by hobby cyclists and professional athletes across the world. Gore also pioneered Windstopper laminate fabric products. The Windstopper fabric is similar to Gore-TEX but the difference is that while it is windproof and breathable, it is not waterproof. On the Bikester.co.uk website, you will find a complete range of GORE BIKE WEAR® cycling apparel that has been developed and innovated purely with cyclists in mind. From GORE BIKE WEAR® waterproof jackets and windstoppers, jerseys, shorts and cycling pants, to vests, bib shorts and gloves, no matter where and how much you love to use your bike, there is clothing from GORE BIKE WEAR® to fit every occasion and situation. Additionally, you can complement your clothing with accessories such as cycling underwear, socks, overshoes and bike caps. Racing through a forest, riding track or road, or even just commuting to work in the city, GORE BIKE WEAR® offers long lasting, high-performance products that are designed to fit and last, putting you at an advantage regardless of weather and conditions. With high-quality solutions from Gore-TEX® and Windstopper, you can be sure that each garment will perform to the highest standard possible, time and time again. Combining the right equipment and the right clothes to create the optimal system will make your biking experience even more enjoyable. GORE BIKE WEAR’s extensive range of products make sure you find the combination that fits the conditions you are going to ride in, in every season and on any occasion.